The algae in Spa Technologies products represent a diverse array of ocean flora. The ocean is the ultimate mineral water whose chemistry is virtually identical to that of the human body. These algae are concentrates of the ocean’s life force—minerals, trace elements, amino acids, beta-carotenes, phyto-hormones, enzymes and more—and all of which are naturally balanced and bio-available. There are some 30,000 species of algae that are divided according to their colors: green-brown, red, white and blue-green families. Their main benefits are to provide intense nourishment to skin and to restore it to a healthy glow. Brown Algae: The most re-mineralizing family of algae, these have been traditionally used in slimming and rejuvenating programs. Among the most active of these algae are the laminarias, fucus, ascophyllum, undaria (wakame), macrocystis (Pacific Bullwhip Kelp) and sargassum seaweeds. Laminaria algae are the richest in trace elements as well as beta-carotenes, Vitamin K and B vitamins. Additionally, 50 percent of its bulk is in the form of muco-polysaccharides such as alginic acid, fucoidan, laminaran and mannitol—all of which have anti-inflammatory and healing properties. Green Algae: This family of algae is a rich source of vitamin C and chlorophyll. Its mineral content is weak compared to the brown and red algae and therefore is not commonly used in thalasso treatments, but are attracting more attention in skin care. Examples of green algae include the ulvas commonly found along estuaries and the mouths of rivers, as well as plankton and chlorella micro-algae. Blue Green Algae: Concentrated in amino acids, blue-green algae such as spirulina add an abundance of chlorophyll and trace elements to stimulate cellular metabolism. It is the natural way to provide brilliant color to seaweed bath products. Red Algae: For sensitive and iodine-sensitive skin conditions. Red algae are rich in amino acids, folic acid and muco-polysaccharides to gently stimulate sensitive skin. Among the red algae used by Spa Technologies International are porphyra (nori), palmaria (dulse) and lichen carageenan as a natural thickener. Red algae are rich in essential fatty acids such as the omega-3 and omega-6 oils normally available from fish, as well as gamma-linoleic and arachcadonic aicds. White Algae: A unique species in that these algae grow a natural calcium-magnesium shell. White algae such as Lithothamnium calcareum are soothing to irritated skin as well as help to drain excess bloat and water retention. Excellent in combination with the brown-green algae in treatment of cellulite. Minerals: These salts make up 3.4 percent of the ocean water. Together with trace elements, they are the building blocks of life. Minerals play an essential role in the body from synthesis of collagen and connective and bone tissue to regulating the nervous system and playing a role in cellular metabolism. Today, the lack of minerals in the American diet is a cause for concern. Soil depletion and junk food translate into severe shortages in the diet that result in lack of vitality, lethargy, poor skin tone and water retention to name a few: Below is a listing of important minerals available from seaweed and their role in the body. Potassium: Vital in cellular metabolism and cellular detoxification. This mineral is indispensable for the functioning of the nervous system and maintaining optimum efficiency of cellular metabolism (Sodium-Potassium Pump). Increasing the efficiency of the sodium-potassium pump also assists in the elimination of toxins at the cellular level. Potassium shortages often occur as a result of excess sodium in the diet leading to this important source of energy escaping the body. Seaweed helps to offset this dietary deficiency. Magnesium: Another vital mineral, it plays an important role in collagen synthesis, nervous system regulator and bone density. Magnesium is a must for calcium assimilation. Shortages of magnesium result in nervousness, irritability, PMS, water retention and dull lifeless skin. Along with dietary shortages, stress is a major contributor to it being leached out of the body. Calcium: Issues relating to calcium shortage is a primary concern to women—especially those undergoing menopause who are vulnerable to loss of bone density. There is more to calcium however. Together with magnesium, it helps to relieve symptoms of PMS such as water retention in the legs and thighs. Lack of calcium interferes with the efficient elimination of cellular waste via the lymph system. Toxic-bearing lymph, causes a precipitation into the connective tissue that disturb the ecology of that area. It leads to tissue atrophy like cellulite. Calcium drains edema and helps to fix moisture into the skin cell. Phospherous: It works in tandem with calcium in T-Cell formation to boost the immune system. Phosphorous is a great memory enhancer and anti-depressant. The average body contains about 2 kilos of phosphorous which in its pure form is toxic. However, phosphorous the poison is chelated with potassium (potassium-phosphate) and calcium (calcium phosphate) and therefore, the “poison” is converted into a healing agent. Phosphorous combines with calcium to increase bone density and therefore, fights the effects of osteoporosis. It is found in the nucleus of each cell and promotes nerve health. Simply defined, these are the metals found in nature. They include everything from zinc, copper and iodine to gold, arsenic and uranium. And they are all vital to the body in proper amounts! Trace elements are found in trace amounts but however rare they are, they play a vital role in the synthesis of enzymes and hormones. Without them, life would not be possible. 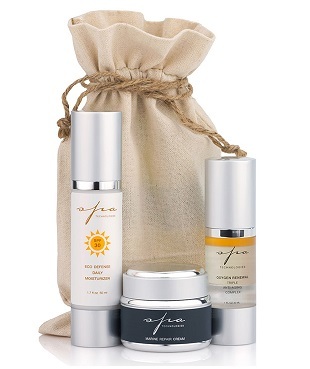 Below are a few key elements and their importance in skin and body rejuvenation. Copper: When combined with polypeptides, copper plays an important role in skin rejuvenation. 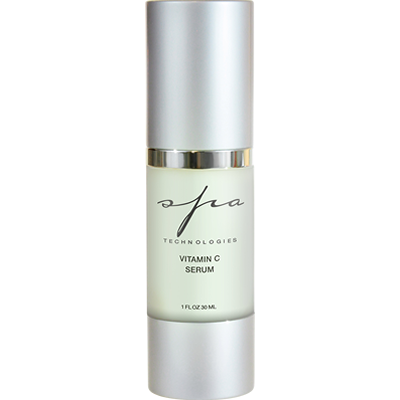 It promotes cellular regeneration vital to a youthful glowing skin. We can’t forget that copper is brain food as well keeping our minds alert and sharp. However, research shows that, taking copper supplements separately can lead to severe zinc shortages. Seaweed provides your skin with a balance of both of these vital elements. Zinc: Important for skin firmness and elasticity, zinc is also an important element in hormone synthesis and prostate health. As with copper, taking pure zinc in excess can cause leaching copper from the body. Seaweed’s chelates these elements in a way that is compatible with the body. Selenium: This element is an important free radical scavenger. In the body, it helps to protect skin cells from the damaging effect of free radicals believed to be responsible for accelerating the aging process. Silica: After calcium, it is the most abundant element in the synthesis of connective tissue. Silica strengthens skin, hair and nails. Chromium: One of the most important trace elements, chromium is vital in the management of glucose regulation. When chelated to amino acids, its absorption is improved and excess levels of glucose, in the bloodstream is diminished. It is a co-factor in the synthesis of enzymes and essential fatty acids. As a result, it is widely indicated in weight loss programs in the form of chromium piccolinate. Algae sources of this vital trace element are Laminaria digitata and Porphyra (Nori). These are complex sugar molecules found in all seaweed. They form 50 percent of the bulk of seaweed explaining why seaweed is slippery and elastic. When consumed, these sugars are indigestible in the human digestive tract which explains why seaweed is virtually one of the lowest caloric foods pound for pound. Muco-polysaccharides are gaining more attention as purifying agents in the elimination of toxic metals and radio-activity in the body; as a drug providing anti-tumor properties, while reducing serum cholesterol. In skin care, it is used as an anti-inflammatory skin regenerative agent promoting a healthy and glowing skin. Below are some of the more important mucopolysaccharides found in the brown and red algae families. Cargeenan These sugars are most often used in the food industry as thickeners for ice cream, puddings, yogurts, etc. In skin care, they are thickeners of creams, lotions and gels. Yet they are mild to the skin and provide soothing emollience. Alginic Acid As a dietary supplement, alginic acid has been shown to chelate toxic metals found in radio-active strontium from the body. In skin care, it is used as a purifying mask to remove skin impurities while calming down the most sensitive skins. Fucoidan & Laminaran: Found in Laminaria and Fucus algae, these ingredients are being used by doctors in Europe and Russia to reduce tumors and serum cholesterol. Topically, it is a skin healing emollient that promotes cellular regeneration. Mannitol: This also reduces serum cholesterol. In skin care, mannitol soothes irritated skins. Porphyran: Found in Porphyra red algae (Nori), it is rich in essential fatty acids and helps promote healthy cells. Agar Agar:Extracted from Gelidium and Gracilaria red algae, it is used for laboratory cultures and as a purifying agent.Other uses of muco-polysaccharides include industrial applications. Wood pulp is soaked in alginic acid to create pliable paper that doesn’t crack. The same is true of paints, films, linens, cotton and woolen fabrics. They are proven “elasticizers” that allow tissues to bend—not crack. In spas, we turn to seaweed to provide us with nourishing face masks and detoxifying body wraps. Yet seaweed does so much more and it is taking its rightful place as an important component in any anti-aging spa program. Exfoliation: Bio-fermented Laminaria algae when combined with glucosamine HCL from marine sources increases the rate of cellular desquamation. This is accomplished without irritating the terrain as is common with Retin-A and AHA treatments. The skin is fresher and firmer. Nourishment: Seaweed is virtually a perfect food providing the richest source of minerals, trace elements, amino acids, antioxidants, phyto-hormones, polysaccharides and enzymes. Whether through the application of a mask, or through bathing, billions upon billions of marine ions diffuse through the skin creating a transdermal alternative to eating as a source of vital nutrients to the body. Protect & Repair As an abundant source of antioxidants and essential fatty acids, seaweed helps to protect the cells from free radical damage while repairing cell membranes already damaged and compromised to regain their health. Copper and manganese are activators of superoxide dismutase and glutathione-peroxidase which are cellular membrane protectors as well. These agents along with antioxidant carotenoids and glycosamino glycans from laminaria algae restore skin cells to a healthy state. Sun Protection & Repair: Extracts of plankton have been shown to repair damage to DNA due to ultraviolet exposure. Infused in liposomes, our Solar Photo-Speres (SPS) are catalyzed by the sun’s rays to provide protection to DNA and repair damage—essential to age-defying skin care. Detoxification: There are two ways in which seaweed detoxifies cells. The first is cellular detoxification through transdermal ionization of the dermis and connective tissue. Marine ions (charged minerals and trace elements) penetrate deep into the tissues and neutralize free radicals. Potassium is introduced into the cells helping to flush out sodium and cellular waste into the connective tisse. The second is through lymph drainage. Seaweed masks assisted by aromatic essential oils promote drainage of lymph laden with metabolic wastes. Fresh plasma and oxygen replace the vacuum left by the toxins which restores the cells. Promote Vascular Circulation: Most seaweeds improve vascular circulation of the surface skin cells. Fresh plasma and oxygen replace the vacuum left by evacuating lymph and toxins. Skin cells are irrigated with nutrients to carry on normal growth.